Hey guys! I'm back from my little slump. It didn't take as long as I thought it would (which is a good thing), so I'm so excited to be back with you guys and ready to get back into blogging. I still may not be as consistent, but just know that I am feeling much more better and have regained my motivation to write and promote through social media. Part of the reason for today's post is revolving around a little bit of why I was in a bit of an emotional slump last week. I'll be really honest and say that a lot of it had to do with my relationship with the boyfriend, Darell. Now while I won't go into details, the biggest thing that we both struggle with is loving each other in the way we need/want to be loved. All of us have different "love languages," meaning that each of us have different ways of expressing and receiving love. 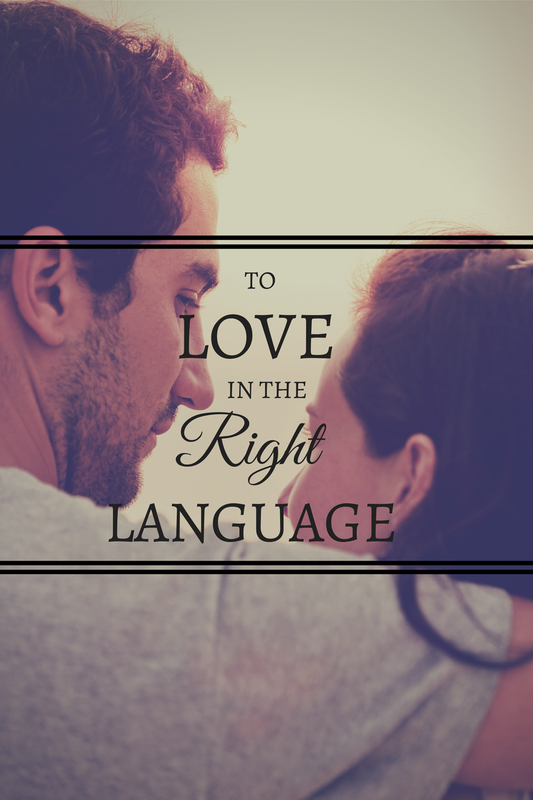 You may or may not have heard of Gary Chapman's "The Five Love Languages" book. The book basically talks about the different ways we show love and prefer to receive love, and like the title says, there are 5 different types: Physical Touch, Quality Time, Acts of Service, Receiving Gifts, and Words of Affirmation. If you want to know what your top love languages are, there is even a free quiz you can take online to find out! My top 3 love languages are physical touch, quality time, and words of affirmation, while Darell's are the opposite--acts of service and receiving gifts. I still find it so funny that he has the most high maintenance of love languages (gifts). Regardless of your relationship status, I think that it is so important to understand how you prefer to be loved so that you can express that to the people closest to you. It's also so helpful to find out what your loved ones' love languages are as well so that you can better express your love for them too. 1. Know your love languages. This will help you better understand why you are the way you are, whether it's understanding why you feel more/less loved by certain people or even how you express love to others. Though it's not this way all the time, chances are you probably show love the way you want it expressed to you. 3. Don't be afraid to communicate! People aren't mind readers, so don't be afraid to speak up if you feel your friendship or relationship needs aren't being met. If that person really cares about you they'll take the time to listen and try to figure out what can change to best fit both of your needs. 4. Be patient. We're all different. We all learn things differently, so of course we're all going to love differently. Be patient with those around you who still struggle with expressing their love and gratitude to you, and hopefully they'll be patient with you too if you still struggle as well. Loving someone in their love language is hard, but in doing so, you are making yourself vulnerable to them and saying "hey, we're both different but I know that you really appreciate this, so here you go." You may not understand how much some of these things (like holding their hand or verbally telling them you appreciate them) have meaning, but trust me, your friend, relative, or significant other will appreciate you for it. So what are your love languages? How do you express love? Any tips I missed? Disclosure: I am in no way affiliated with Gary Chapman or The Five Love Languages. I just really enjoy and support it! I love this concept, I think it's so helpful! My boyfriend and I have both done the quizzes and things and we happen to have the same primary language, which is convenient. Oh #3. I think most of us falter on number 3. Because of gender roles and expectations, social media, and with the rising wave of feminism, communication in relationships have become muddied. With that said, I dare say that number 3 is the most important--- this doesn't mean that I have a disregard for the other 3 points. I just believe that working through the perils of relationships is way easier if you understand who you are, why you do the things you do, and what you expect from the other person. I love Gary Chapman's concept and agree that it's meant for all of our relationships, not just the romantic ones! I'm quality time, acts of service, and physical touch. I actually scored a zero in receiving gifts! I'm going to have to have my boyfriend take this quiz too when he gets home!